Dietary supplements are a category of health products that are consumed to maximise the concentration of necessary nutrients in the body. They are nutrients extracted from food, made into pills, powder, drinks, energy bars and capsules and are composed of dietary ingredients that can aid your poor diet. However, this does not turn them into drugs. They are not to be used to treat, prevent or cure an ailment but rather used to supplement diets. It may be taken every day and the dosage really depends on you, your health care provider or on what has been cited on the label. Supplements may include minerals, botanical, amino acids, enzymes, and vitamin, which are often recommended but they can’t replace foods. Most adults today take one or more of them every day to help them get a good amount of nutrients, especially if they don’t eat food that has essential nutrients. You must also be safety conscious when taking dietary supplements. There are some do’s and don’ts to remember before taking a supplement as the chemical composition, and the process of preparation of a supplement matters to your health. Talking to your healthcare provider and asking some questions before taking any supplements is usually recommended. This is because most manufacturers would claim that a dietary supplement can be used to support health, or used for the correction of some nutrient deficiency. Your health-care provider will prescribe the right supplements for you. Nowadays, breakfast cereals, beverages and a number of other food items come with some ingredients that can also be found in dietary supplements. This means you may be taking an excess of these nutrients when you consume these foods and take the supplement at the same time which might not be so good. 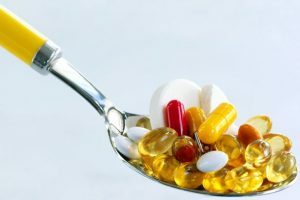 Supplements have a tendency to cause harm and side effects when people abuse them, and they can also interact with certain drugs prescriptions by reducing their effectiveness.